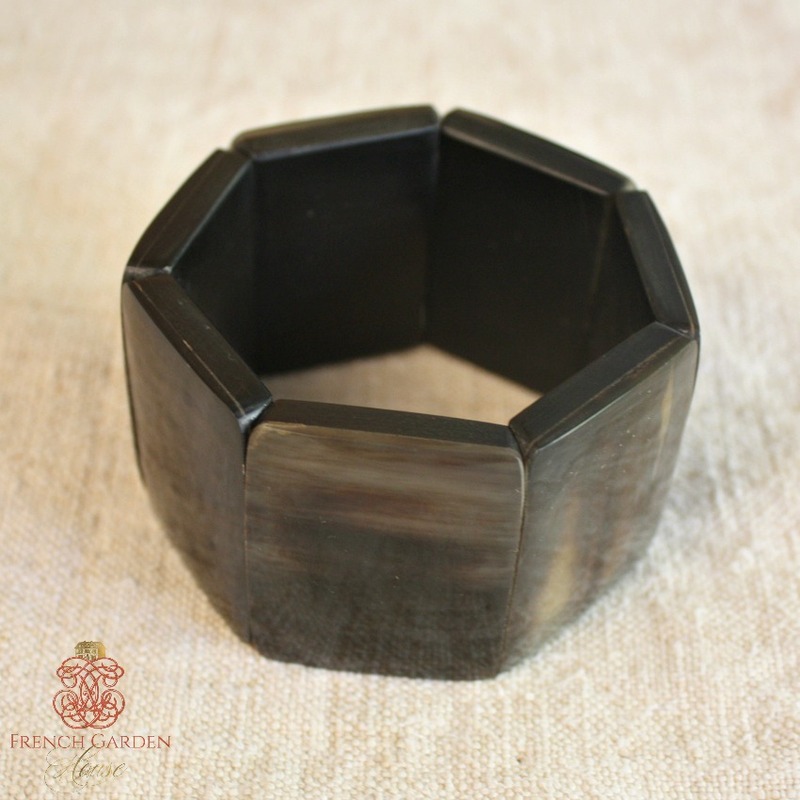 Artistic and elegant, this bracelet has a luminous, subtly varied finish expressing your personal design aesthetic. This bracelet works perfectly as a solitaire statement or as part of your own chic, stack of bracelets. 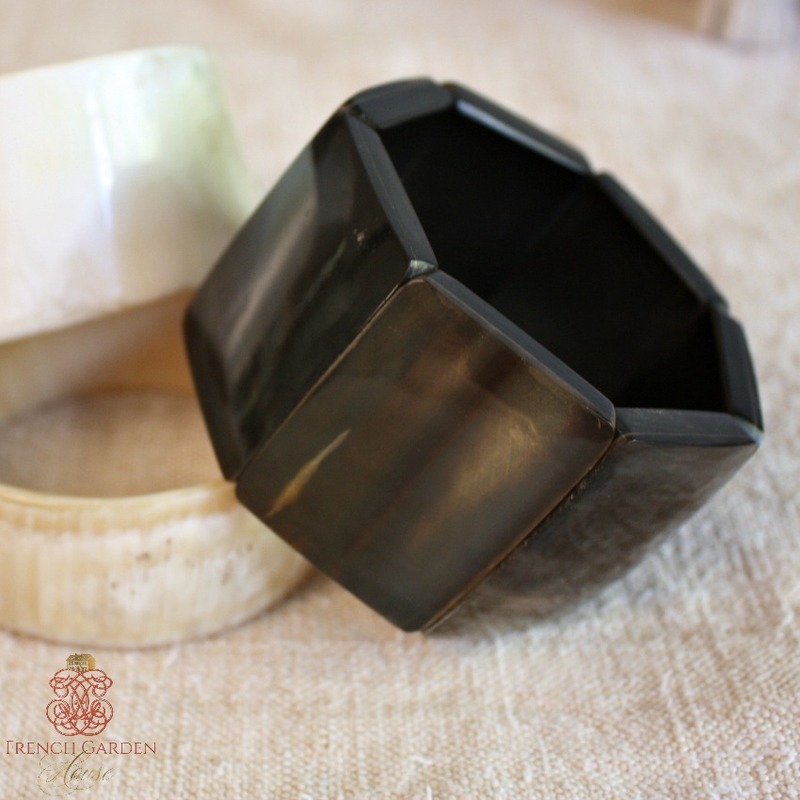 Entirely hand crafted of slabs of repurposed horn with 2 elastic inner bands, it reflects the power of centuries old jewelry, cut and polished by hand to a gorgeous glow. Part of our Well Traveled Heritage Collection. Discover this one-of-a-kind work of natural art that captures your elegance and out-of-the-ordinary style. 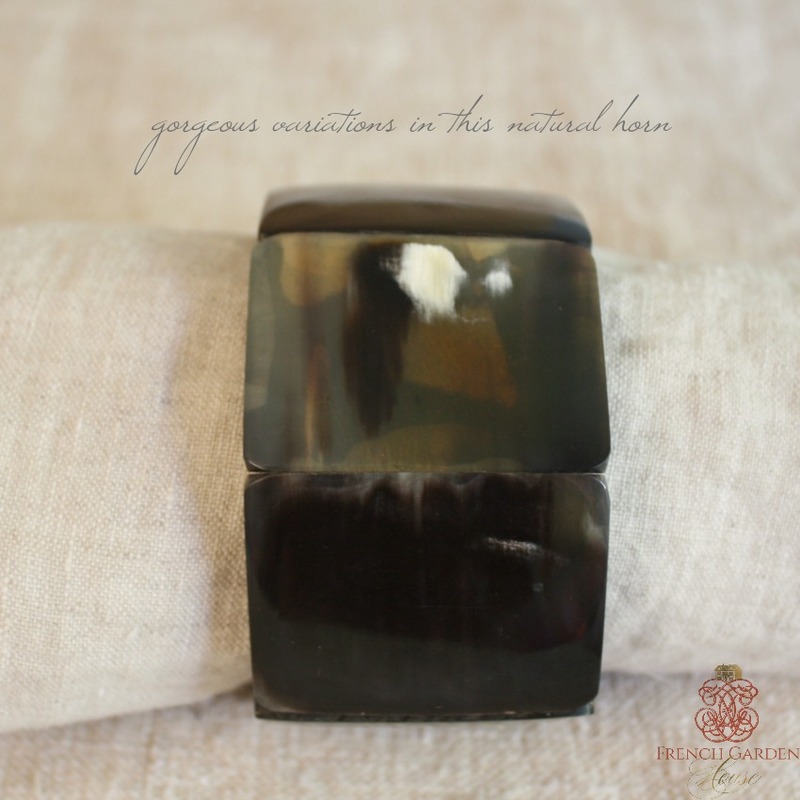 Luscious colors of coffee, grey and cream combine in this beautiful natural bracelet. 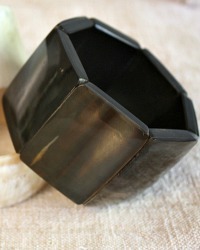 Classic and at the same time contemporary, this is a beautiful addition to your collection of jewelry. Fits my 7" wrist with a little room to spare, due to elastic bands it will fit a larger wrist.